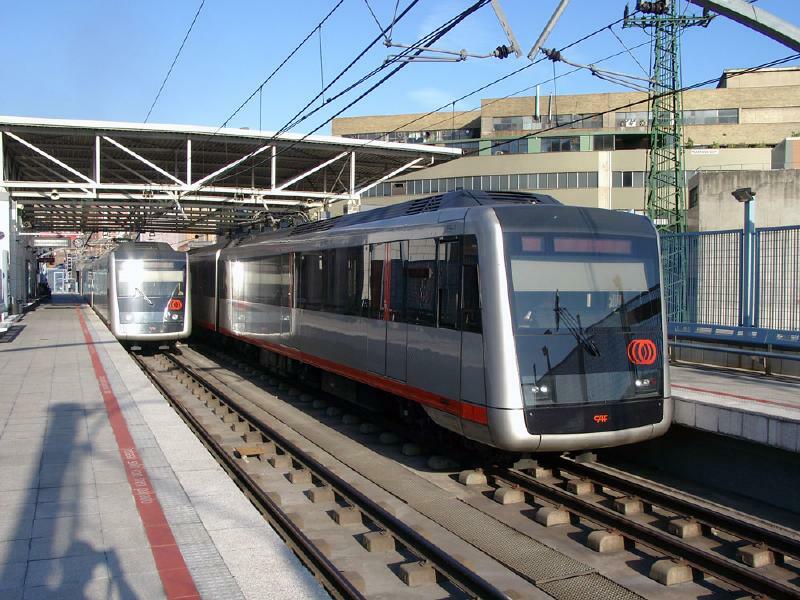 Bilbao bases its public tranport network on local railways, metro and tram lines. 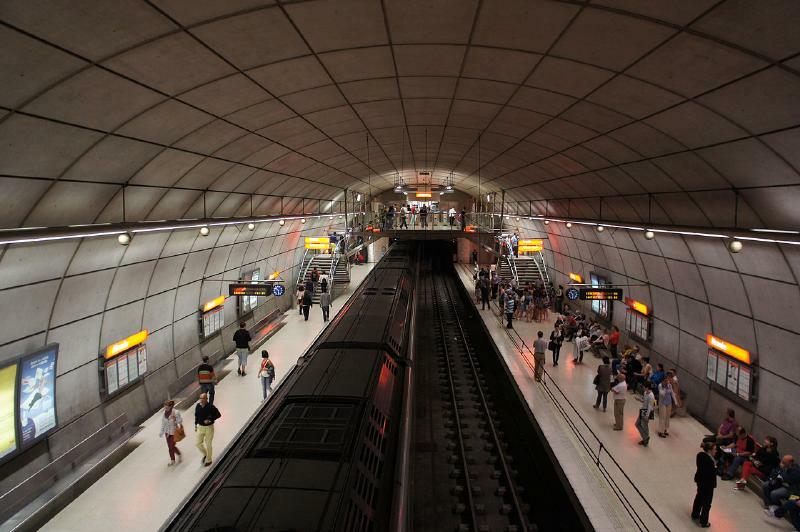 The first Bilbao metro line (Line 1) opened in 1995, with extensions in 1997, 2005, 2011; it runs partly ground level on an elder railway track (Plentza-Lutxana) and partly underground (Lutxana-Etxebarri). 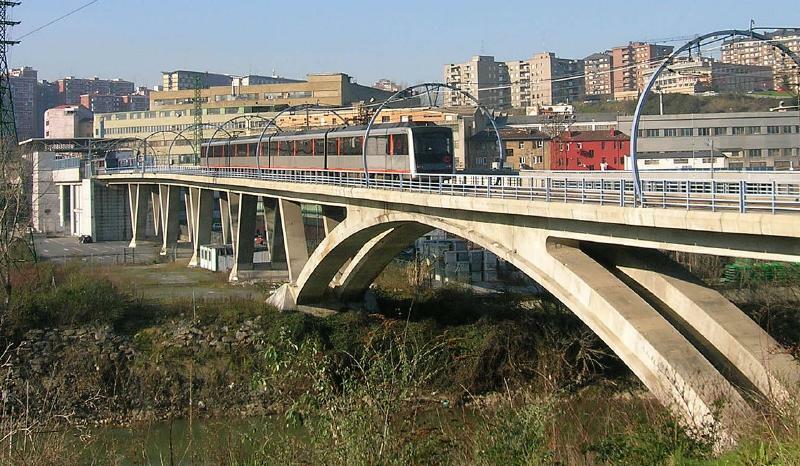 The first section of Line 2 opened in 2002 (San Inazio-Urbinaga, plus San Inazio-Etxebarri section in common with Line 1); Line 2 was extended in 2005 (Urbinaga-Sestao), 2007 (Sestao-Portugalete), 2009 (Portugalete-Santurtzi) and 2014 (Santurtzi-Kabiezes). Line 2 northern terminal (Santurtzi) is connected with Mamariga by a metro shuttle service (Mamariga Shuttle, opened in 2010). 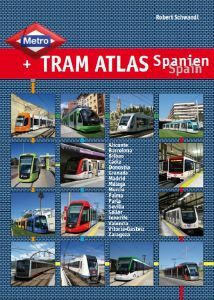 Both lines have been also extended along the common branch in 2005 (Bolueta-Etxebarri) and 2011 (Etxebrarri-Ariz); in 2011 Line 2 has been extended from Ariz to Basauri, while Line 1 has been shortened at Extebarri stop. 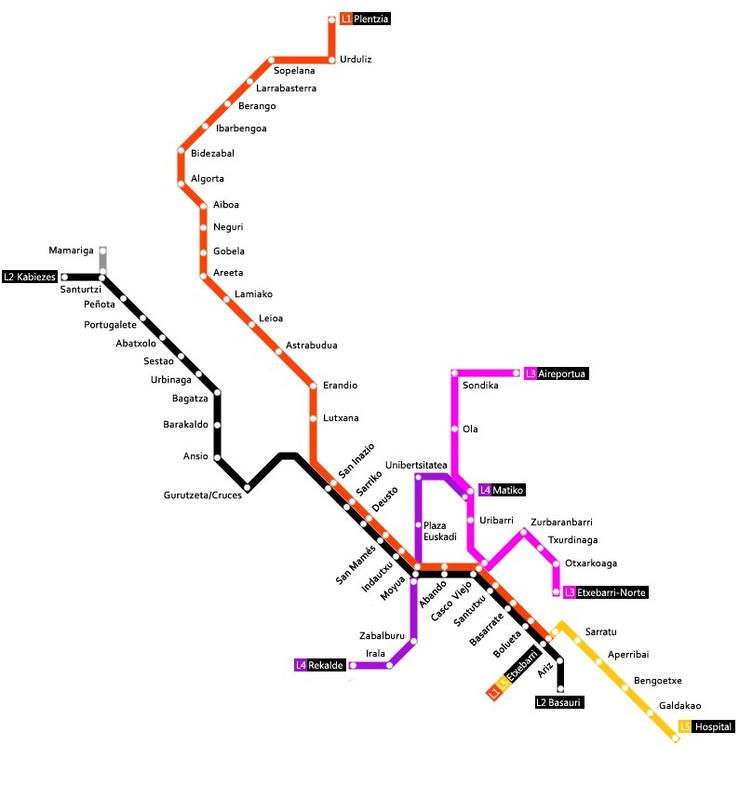 Line 3 opened on April 2017, running from Kukullaga to Matiko; Matiko-Airport-Lezama route is operated by suburban trains (line E3).